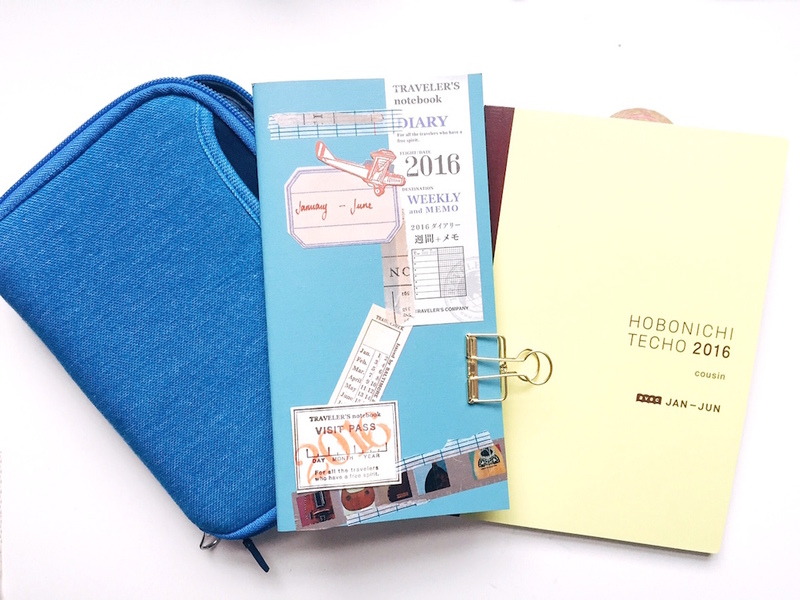 I first heard about the Hobonichi Techo planner (I’ll call it the Hobo) from one of my former editors, who’d mentioned that she had purchased one to art journal. As a fountain pen enthusiast, I’d heard the word Hobonichi floating around on the internet. It had a reputation as the perfect planner for fountain pens because it used Tomoe River paper, a thin but extremely resilient type of paper from Japan. I looked it up online and realized the Hobo had a cult following. People were using it to doodle, journal, decorate, and sometimes even plan! I mentioned it to my sister Bea in passing, something like “Oh, have you heard of the Hobo?” She got this scary glazed look in her eyes and started squealing. Next thing I knew, we’d started counting down the days until we could order the 2016 edition (the Hobo is available for sale on September 1 every year). 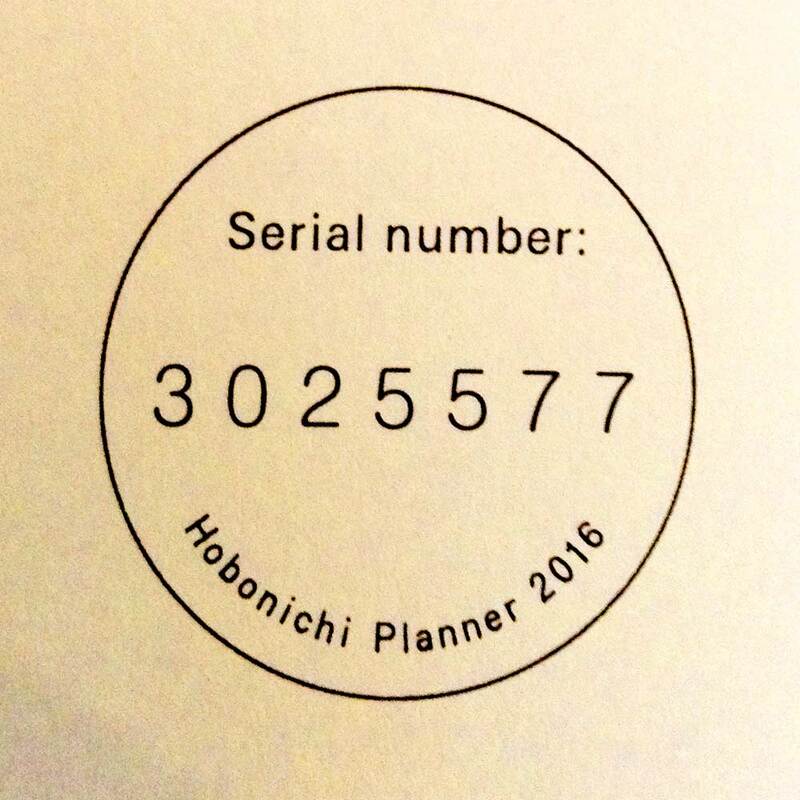 For a long time, unless you lived in Japan you could only order the Hobo online from http://www.1101.com/, the official site for all iterations of the planner (there are five, which I’ll mention briefly). 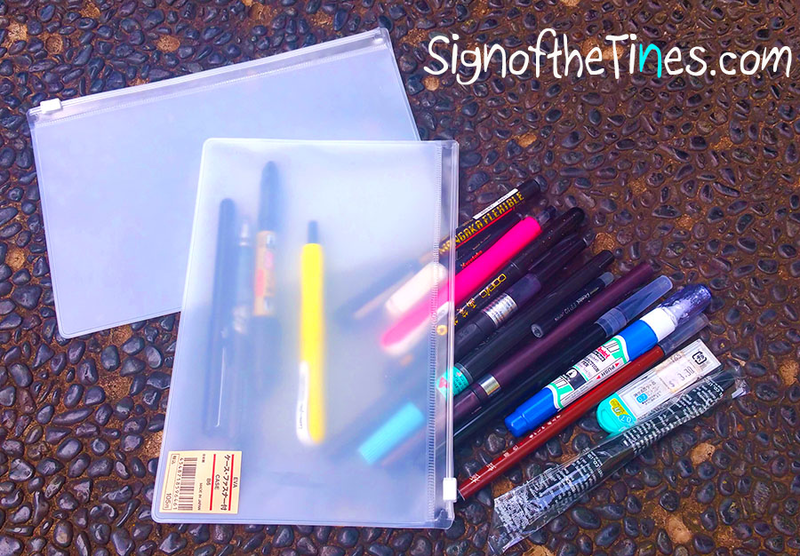 However, recently they’ve been popping up in stores around the world, including Scribe Writing Essentials in the Philippines and various local small online retailers/ importers. Initially I only ordered the Hobonichi Cousin, the A5-sized version that only comes in Japanese. However, Liz was able to obtain the A6-sized Hobo English edition for me I passed on the Hobo Weeks, which is a vertically-oriented planner that well, tracks your weeks, as well as the A6 Hobo Techo in Japanese and the A5 Cousin Avec, which divides the A5 Cousin into two slimmer volumes. The Hobonichi Techo English with Midori A6 clear cover. 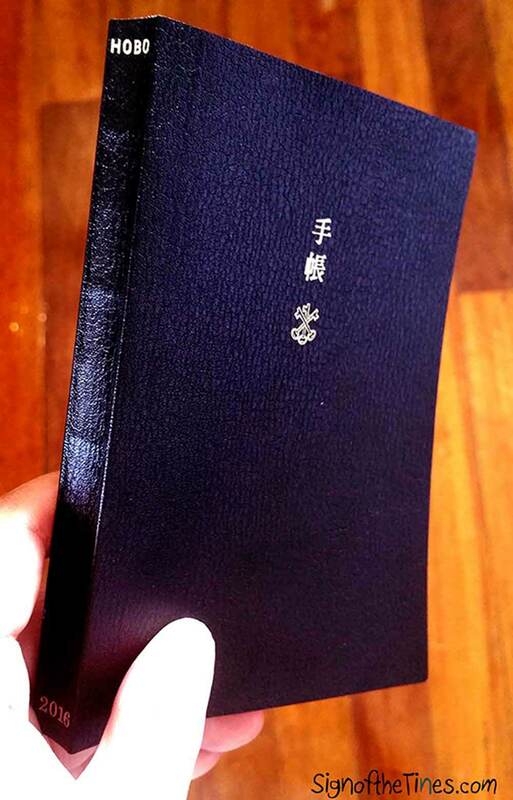 The English Hobo comes in this gorgeous black cover stamped, in gold foil, the Kanji characters for ‘diary’ and ‘hand.’ I find it very elegant. 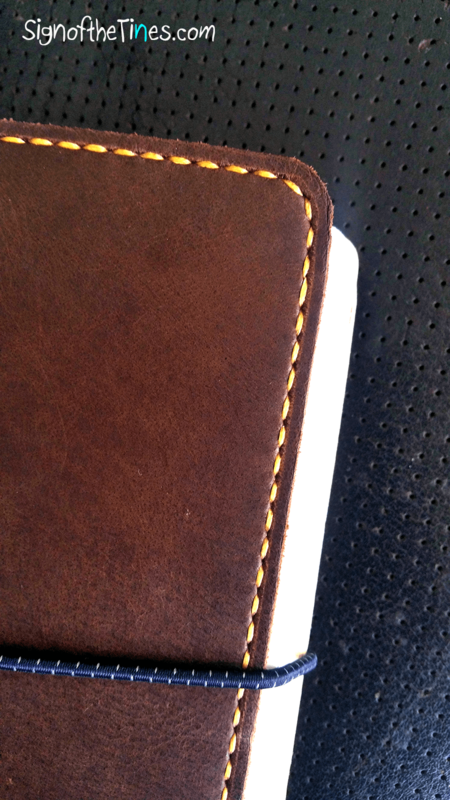 The book cover itself is semigloss cardstock embossed to resemble leather. 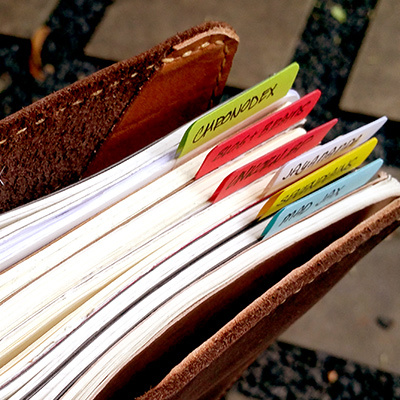 You can read here for more info on the history and nature of the planner. I do wish the cardstock was a little firmer. It’s designed to be covered by a secondary cover, so I think the thinness is deliberate. 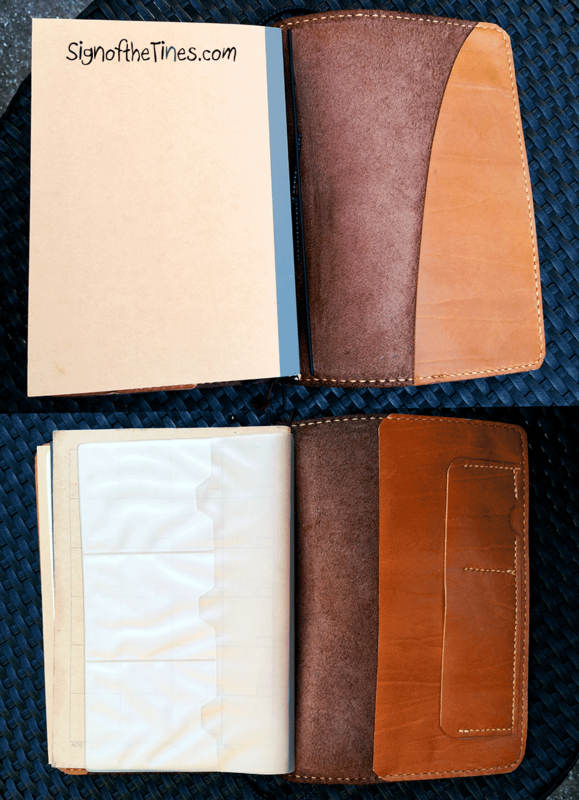 For many people, one of the most crucial aspects of the Hobo is its secondary cover- various designs, in textile, leather, or silicone, that can be bought alongside the planner and are designed to protect and enhance the books. They aren’t cheap –unlike me. I am VERY cheap. Therefore no fancy expensive covers for me. Instead I’m using a fake leather cover from local company Authors Avenue, which serendipitously fits (barely) over the Hobo. A6 Notebook cover from Authors Avenue fits- mostly. I DID purchase a Midori A6 clear cover to keep my Hobo clean. 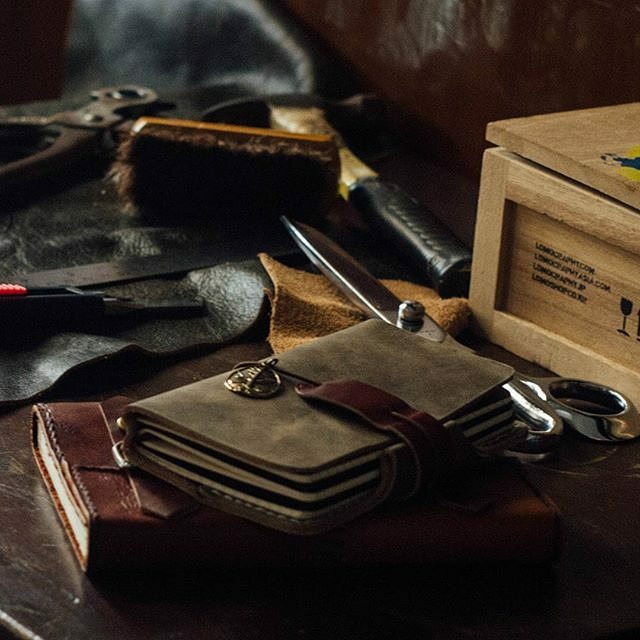 about the Hobo- its binding is a testament to Japanese craftsmanship. You can fold this thing almost 360 degrees without breaking the spine, and it lays perfectly flat on a table. 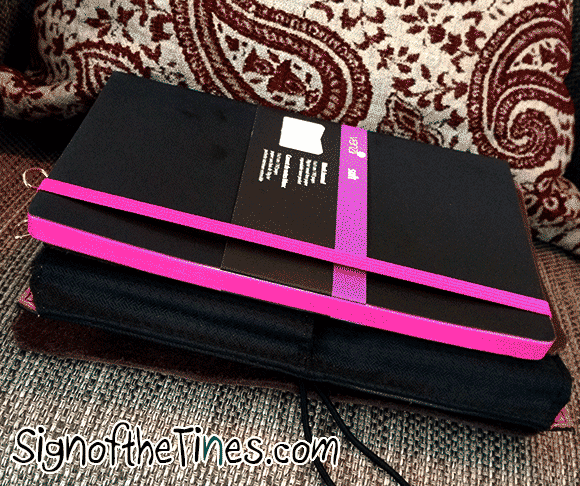 Visit Part 2 to see how I’ve decided to use this versatile planner. Hello all! I’m Tintin’s sister Bea. She’s generously allowed me to post on her blog because I, too, am caught in the grips of an uncontrollable stationery obsession. In fact, Tintin first got me into stationery when we were young, though I didn’t learn to fully appreciate it until much later. About a year and a half ago, she introduced me to fountain pens and I introduced her to the Midori Traveler’s Notebook and we’ve been enabling each other ever since! It’s funny because for all the shared interests we have, our tastes actually differ a lot. For example, she’s more adventurous and knowledgeable about fountain pens, whereas I’m happy with my set of durable, inexpensive Lamys. 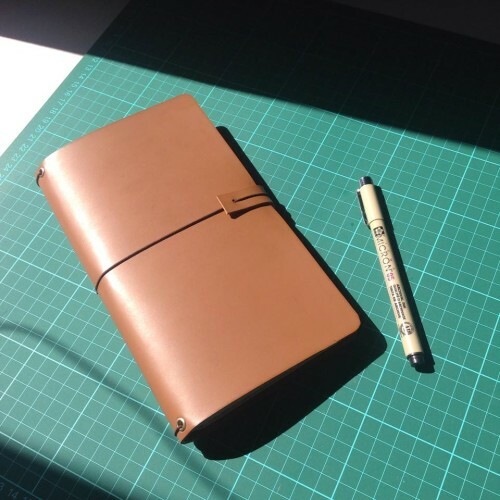 On the other hand, I’m more of a Traveler’s Notebook “purist”–it’s not that I don’t like fauxdori, but I love the Traveler’s Factory brand so much that it would take something really special to lure me away. However, I’m happy that there’s a growing community of TN/fauxdori users in the Philippines, because it means getting supplies for planners and journals has become much easier and more affordable. Also, it’s bringing attention to local talent who seem to really know their leather. For this post, I thought I’d share the new additions to my 2016 planning/journaling setup. These are items that I’ve been waiting for months to use–they are also items I’ve never used before. Due to my excitement, I may have acquired more diaries than I need, and am now faced with the dilemma of how to actually use each one. Anyone else have this problem? Every time I think I’ve got each diary finalized, I second-guess myself! But 2016 is almost upon us, so I’d better make up my mind soon. So those new items are: the Traveler’s Notebook 2016 Diary (Weekly + Memo), the Hobonichi Planner, and the Hobonichi Techo Cousin Avec. This is a limited edition diary that is released towards the latter half of the year. There are other versions, like the monthly and weekly diaries, but this is the one that Eunice from @thedailyroe uses to make her beautiful layouts. So of course, being a total lemming, I wanted it too. These are very similar to the weekly + memo free diaries that are sold year-round, but are pre-dated and have a few additions like a fancy cover, stickers, and calendar bits that I’m ignoring to be honest. You also get 2 inserts for the year: Jan-Jun, Jul-Dec. The Jul-Dec diary has a navy blue cover. What I’ll Use it For: I plan to use this as a jumbled combination of weekly highlights, random notes of interest, and a commonplace book for facts, quotes, and found things. I’m changing the way I keep an art journal, so instead of one huge art journal, I’ll have smaller but more varied types of journals. This is the first year I’ll be using the Hobonichi and I’m so, so excited. I bought the English version. 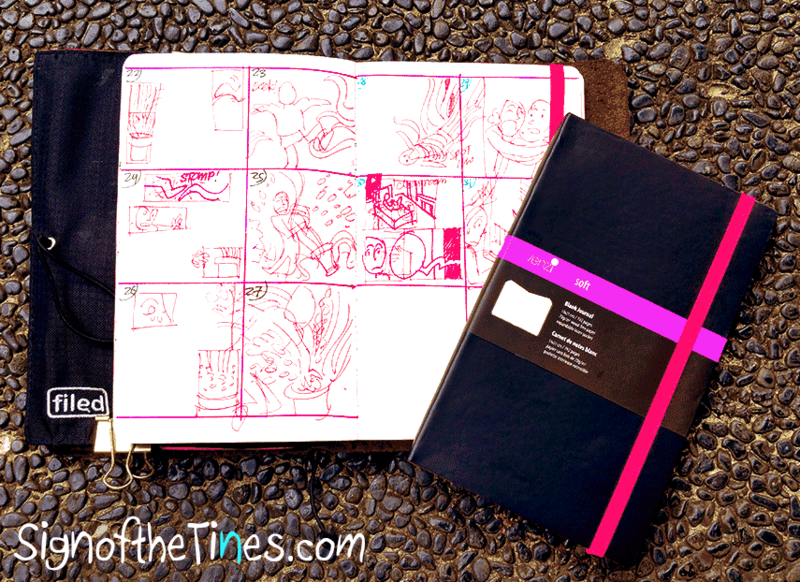 In fact, this was supposed to be my everyday art journal/notes until the TN Weekly + Memo Diary came along. It’s probably for the better–I’ve seen how thick the Hobonichi Techo can get when you pump it up with stickers and washi tape. 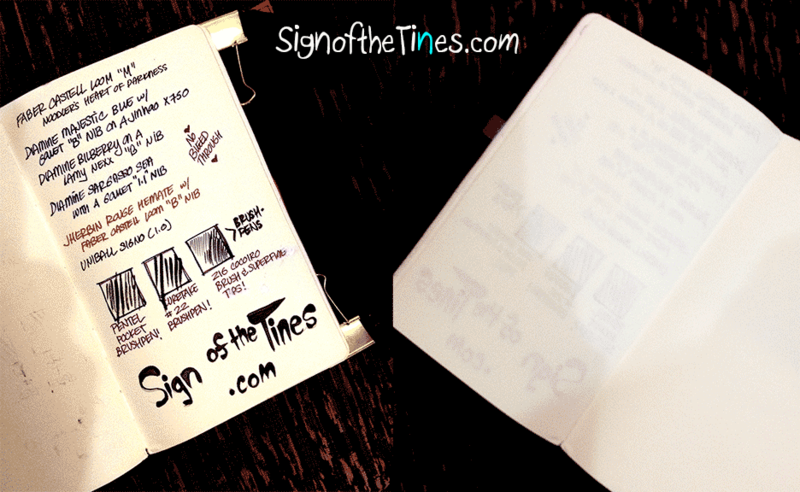 Forget about pasting in journal cards or glossy photos! I definitely do not want to be struggling to write in the pages by the end of the year, so I will try to keep the embellishments simple: washi tape and the occasional sticker. Today is the first entry, and I wasted no time in cracking it open. The sooner I can get it away from its pristine condition, the sooner I can stop treating it like a delicate princess and more like the durable “life-book” it’s supposed to be! What I’ll Use It For: As you might be able to tell from the image, I’m struggling with this. I like how the Hobonichi looks with single entries decorated simply but beautifully (like this) but the collage of notes and illustrations also looks very nice (like so). More importantly, I have to distinguish it from both the previous diary and my written diary (yeah, I have a lot of diaries). I am leaning towards using it for more reflection-based journaling: noting the day’s accomplishments and reflecting on what’s to come. 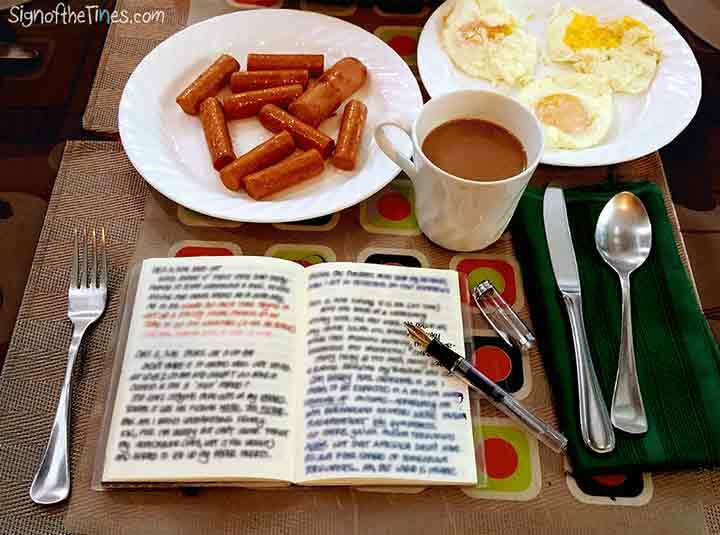 I use my written diary to whine a lot, sometimes at the expense of meaningful reflection. Then again, this is my first year using it so I’m not going to be too prescriptive about it. I’ll start off by going with what feels comfortable! The Hobonichi Cousin is of course the larger version of the Hobonichi Techo, and the Avec is the Cousin split into two volumes. Comparisons between the Cousin and A6 Techo have been elaborated in detail elsewhere, so I’ll just jump right into why I bought it. I decided that for 2016 I needed to track my writing tasks more diligently, since 2015 was proving to be very disappointing in that regard. The Traveler’s Notebook insert I was using for writing-related notes wasn’t cutting it and I was writing things on scraps that I’d later mistakenly throw away. But since I didn’t want to carry a full Cousin in addition to a Techo & my MTN, the Avec seemed like the perfect solution. How I’ll Use It: As a writing tracker to track my current projects, tasks, progress, and deadlines. Also books I want to read or have read. I’ve added some slim washi tape to January 1 as a proposed layout: on the top I’ll put any deadlines for the day, the left will be for tasks for each project, and the right column will be for relevant notes or things to research. There’s still much I have to do before 2016 rolls around: namely, to get my resolutions/goals (writing & otherwise) in order, and to figure out how all of this fits with my current Traveler’s Notebook setup. I’m hoping they all play nicely together. TN’s are great if you’re an ADD- prone planner person with multiple projects! Different sections for each project. Now tabbed! They’re already divided into separate little notebooks, so you’d think it would be easy to find the exact notebook you’re looking for. However, you can save one or two seconds if you didn’t have to flip through every single notebook and hey, time is precious. That and I think some of the creative ways people use tabs is really cute. Still on my Jakarta trip, I happened across these small Bantex divider tabs at a small stationery store in Pondok Indah Mall . 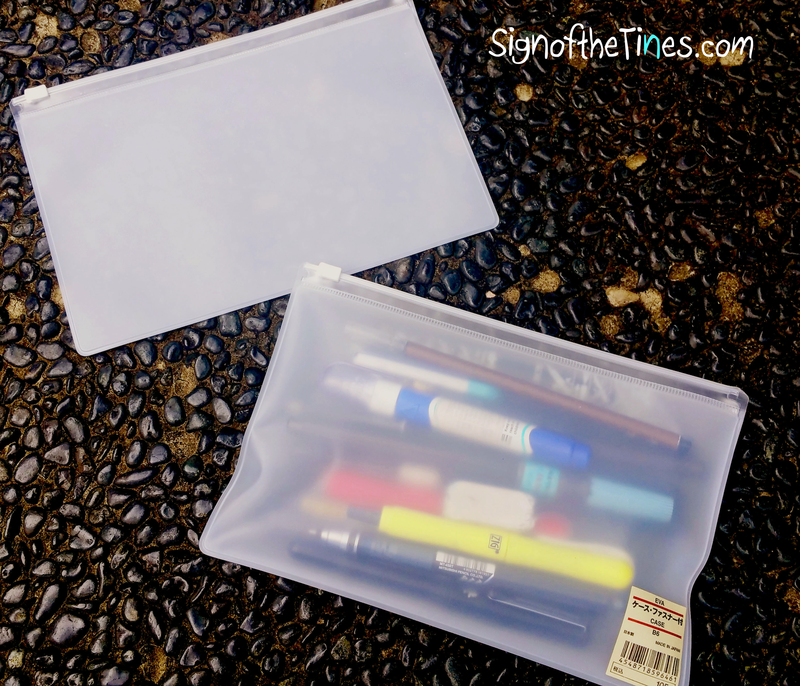 The tabs are simply colored cardstock with clear adhesive plastic e on the bottom. They work well enough for my needs- not cute, but functional. In this TN, my creative writing projects, each tab corresponds to a single project. Previous to owning a TN, I had to keep all projects in a single notebook and tried to use this Japanese method of marking page edges to differentiate each section, but it always got too chaotic for me. With this method, I keep each section separated and neatly marked. Let’s take a quick break away from Traveler’s Notebooks and take a look at one of my favorite fountain pen friendly notebooks, the Venzi Soft. 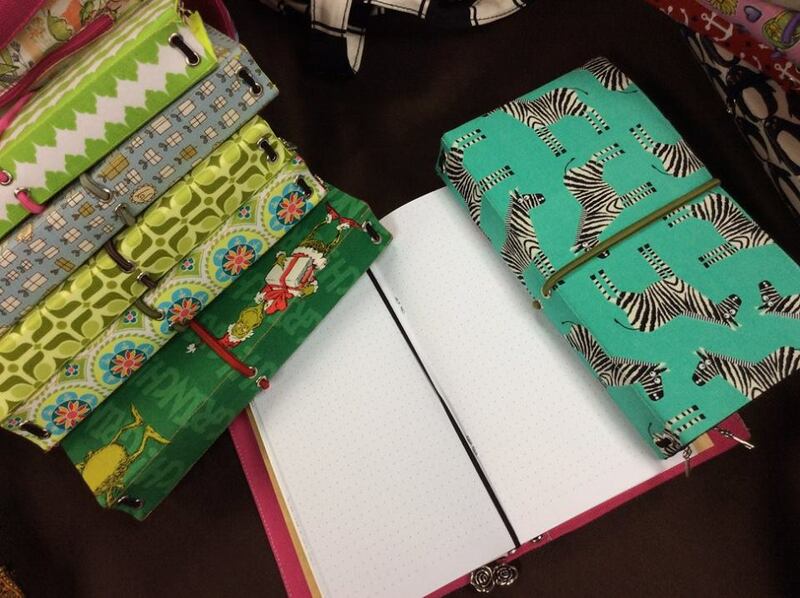 Venzi is part of a line of Victoria ‘s Journals and notebooks brand from Hong Kong. They do the fabulous Copelle line of notebooks as well, which would be one of daily carry notebooks if it wasn’t so monstrously thick! 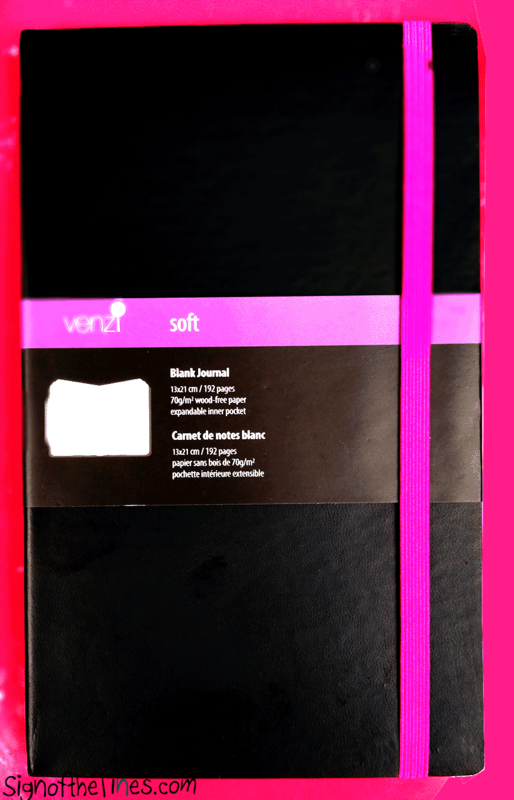 The Venzi Soft retails at National Bookstore for about P200 (approximately US$ 4.5), so it’s one of the most competitively priced fp-friendly notebooks out there. I’ve tried them with fairly medium to wet pens and only the wettest pens bleed through. Brush pens work great, too! The paper is 70 gsm- quite thin, so it’s amazing that they hold up so well. Perhaps the smooth coating has something to do with it- although it’s not ultra-smooth, it certainly doesn’t have the rough pulpy feel that you get from most Korean notebooks (I’m not a fan of Korean notebooks, as they tend to be very bleed-y despite being so cute). Anyway, these come in both lined and unlined versions. They tend to go out of stock relatively quickly, so grab them while you can! This is a pink edition. Other color options with black covers include red, blue, and orange, or you can get green, red, blue-green, or black cover colors. I’ve hoarded a few years’ worth of these little beauties. I use them to make thumbnail sketches and quick notes with my fountain pens. I hope some of you can check them out! If you use fountain pens, make sure you get the Venzi SOFT, not the Venzi FLEXY (which looks very similar) as the latter bleeds much more. See my second Sunday Leather Craft TN here. 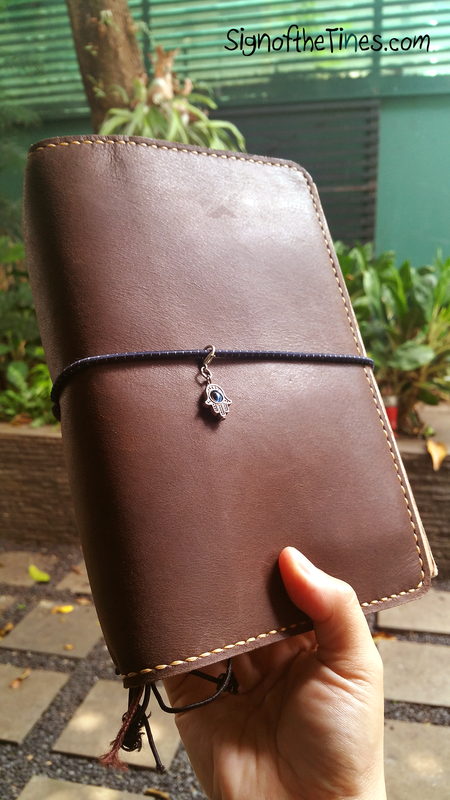 So as I said in a previous post, I had a few stumbling blocks before finding planner peace in the form of two traveler’s notebooks from Sunday Leather Craft. Someone on the Fountain Pen Philippines Forums had mentioned that SLC made great pen cases. 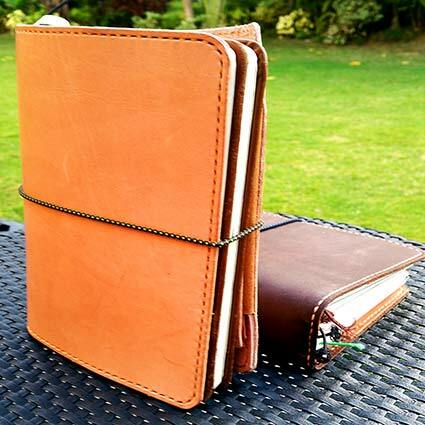 I hopped on to their Facebook site and saw that they also made notebook covers, and from there a TN is only a few elastics away! I contacted them and asked if they were amenable to creating something according to my specs, and they agreed. I sent them a sketch with dimensions for an A5 TN, asking for semi stiff leather (from the samples they showed me). The results were fantastic. 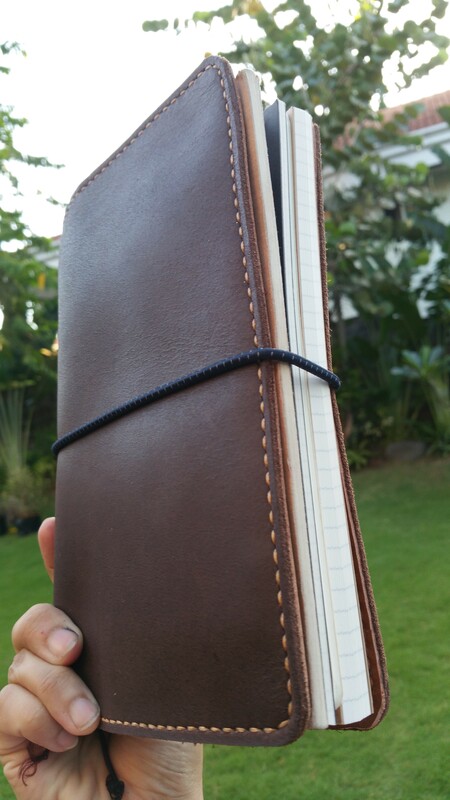 The leather is a matte dark chocolate brown with beige stitching, with sealing elastic in blue stripes. The leather itself smells …well, adequately leathery. I had requested side flaps to store random notes. next time I’ll ask for a cardhold to be integrated into the flaps, but these function quite well. It’s medium-soft, supple enough to bend easily but firm enough to keep its shape when unfilled. The stitching is very neat- you can see they know their leatherwork. It fit my Muji A5 notebooks perfectly. I had to trim down some of the papers I got from the US when making my own inserts though, as their dimensions didn’t exactly line up with the A5 size. Darn it! The reason why I work exclusively with A5 notebooks, aside from them being the perfect compromise between space and portability for me, is that quite simply, I’m lazy! I hate going to the trouble of trimming paper and measuring, etc. But that’s a story for another time…Anyway, I couldn’t be happier with my purchase. 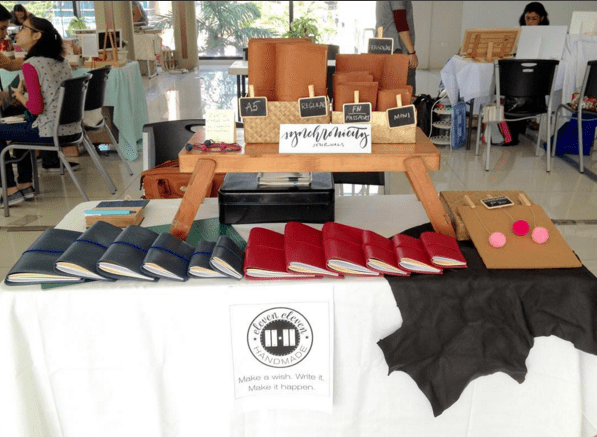 Hurrah for Filipino artisans (and TN’s that you don’t have to pay international shipping for)! While I’m not very familiar with more famous fauxdori makers from abroad, I’d wager that SLC can match most of them in terms of skill, if not in variety of raw material. I hope SLC continue to make great TN’s and that I can do a more complete feature on them someday.